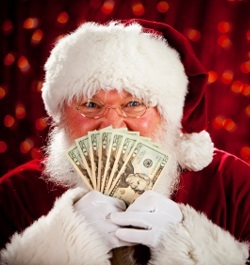 What if I told you there's a simple way to bet that holiday trading is going to be quiet? 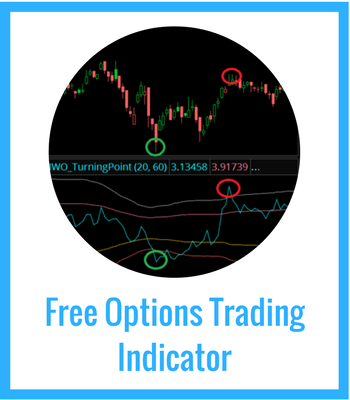 But this post will take you through a very specific option trading setup that profits right before a holiday trading season. It doesn't have to be Christmas. It can be any time of the year where there is a short trading week in the markets. Keep reading to discover how to execute this trade for profits. During market holidays, the total price movement in stocks is 0. That's because the markets are closed and there's no trading going on. Right before market holidays, the total price movement in stocks approaches 0. Why? It becomes a self-fufilling prophecy. If everyone knows the day before Christmas or the Labor Day weekend is going to be quiet, they'll take the day off. Liquidity dries up, institutions can't push through new orders, and the market just grinds in a tight price range. With those two assumptions, we know that the volatility in the market running up to a holiday season will be very low. Even though quiet holiday trading happens very often, the options market doesn't respond to it very quickly. The options market will tend to keep their options premiums, assuming that we will have normal volatility up to and through the market holidays. This is where you can profit. If the options market is expecting normal volatility, and we know that heading into the holidays we have lower volatility, then you want to be a net seller of volatility. 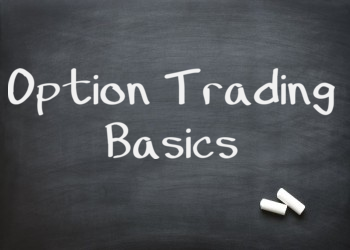 What you'll see in the options market is that as we get closer and closer to this holiday season, that's when the options market finally responds and the premiums drop in the market. And that's where your profits come from. There's one more thing that's really cool about this scenario. The option premium that drops into the holiday season only happens with near term options -- that means options that have 30 days or less to expriation. Because longer date options are around for longer, the lower volatility in the market will matter less, and the option premiums will hold up well. 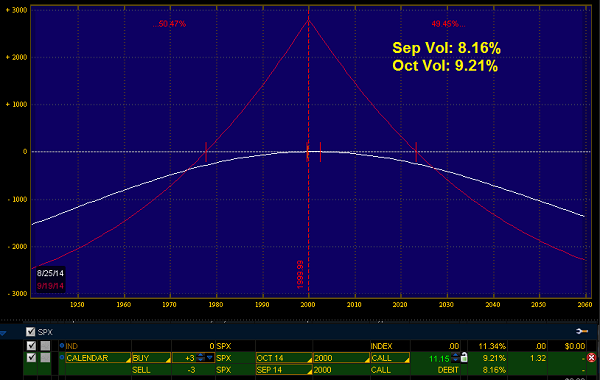 So we can short volatility on the near term options, and get long volatility on longer term options. This is called a calendar spread. 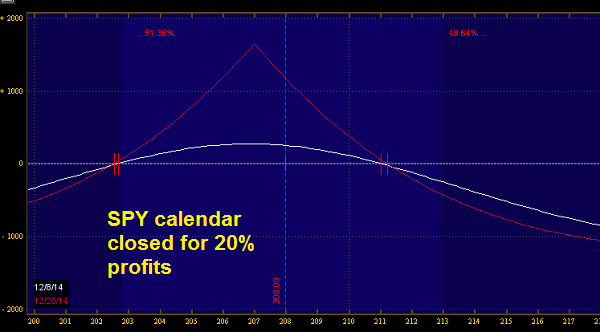 More specifically, this trade sells the Dec 207 put, and buys the Jan 207 put. 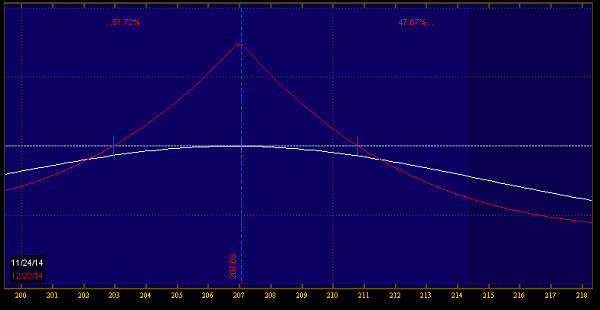 The directional exposure from the short option is cancelled by the long option, so this is a delta neutral trade. The trade thesis here is that the premium on the short option will come out faster than the long option. This premium will get sucked out not only from the normal time decay, but it will be accelerated from the options market pricing in the slow holiday season. Before we move on, just remember: standard disclaimers here. Past performance is no guarantee of future performance, and this assumes perfect fills. Some people did better on this trade, some did worse because execution, liquidity, and fills matter. You may be looking at this risk profile and wonder why this trade isn't held all the way to expiration to try and max out the gains. The problem with that is if you try and hold the trade longer, it puts you at risk of more volatility. 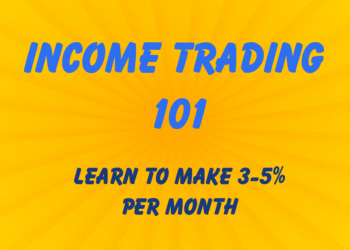 Income trades like this have a profit target of 15-30%, and it's better to take profits and reenter at a better basis. My trade thesis was that the market would start to cool off as we headed into the Labor Day weekend. During this time, the implied volatility on the overall market was quite low-- the VIX was in the 12's, and these options had an implied volatility in the single digits. So what happened in two weeks? This trade profited not only from the premium drop in the time decay, but also from the rise in the implied volatility that helped to boos the value of the October option. This trade doesn't come along very often, but it is a subset of the kinds of calendar trades I like to take. I've spent a good part of 2014 honing my skills and knowledge around calendar trades, because it's an income trade that does well in a low volatility environment. If you'd like to learn more about how calendar trades work, then read my report on "Profiting in Low Volatility Environments." Read the report here.